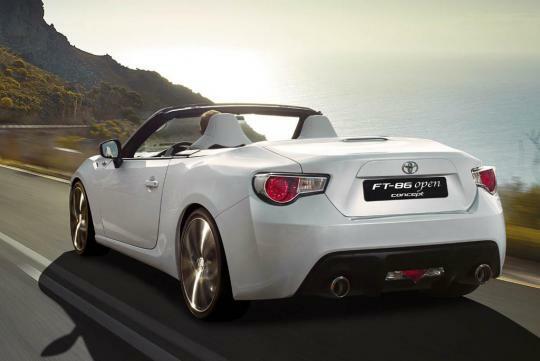 Toyota has released the official images of the FT-86 open concept ahead of its world premiere at the 2013 Geneva Motor Show. 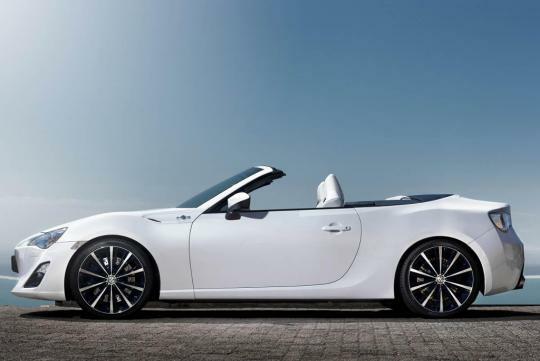 The concept bears a similar front fascia as the coupe version but the hardtop is replaced by an electrical-operated soft top. The boot and windscreen have also been modified. 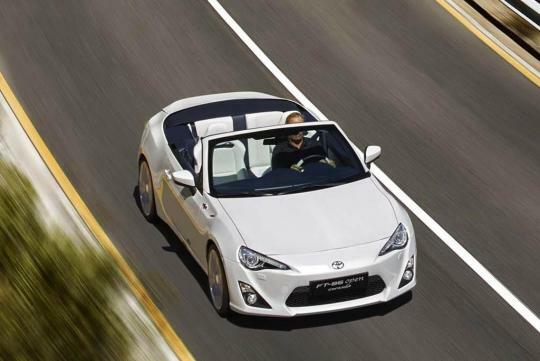 Toyota commented that the convertible conveys a feeling of oneness with nature while maintaining the joy and sense of oneness with the vehicle. When it goes into production, the very successful Mazda MX-5 will have a new rival. 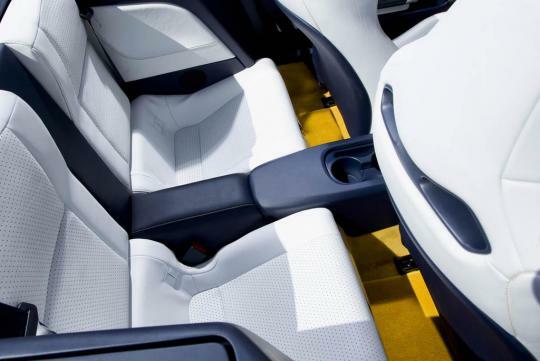 The interior of the FT86 Open Top features contrasting white and navy blue tones on the dashboard, seats and steering wheel. The floor is laid with yellow-gold carpeting. Other highlights include alloy pedals and metallic accents. 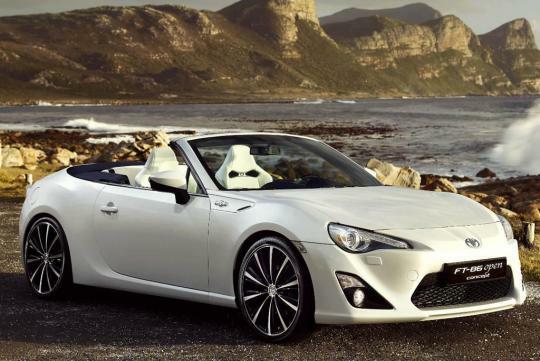 Toyota has yet to release the engine specifications, but it should inherit the 2.0-litre four cylinder, direct-injected boxer engine from its hardtop sibling. The naturally-aspirated lump is good for 200bhp and 205Nm of torque.